There are 75 days before the start of a new Gregorian calendar year. So, for the next 53 days (Monday – Sunday) the blog postings will ask you one question. That question may inspire you, it may perplex you, it may anger you, or it may tickle you. It’s about your growth. The whole thrust of the 75 questions is to prompt a reaction and honest answer to the probe. The major intent of the 75 questions is to capture change. The questions are to be a catalyst for inner change that leaves you feeling more dynamic, powerful, intrigued, and authentic. When these salient emotions are opened up within you (they already exist), you change and your world changes and the whole world changes with you. How do you combat racism? There are 75 days before the start of a new Gregorian calendar year. So, for the next 62 days (Monday – Sunday) the blog postings will ask you one question. That question may inspire you, it may perplex you, it may anger you, or it may tickle you. The whole thrust of the 75 questions is to prompt a reaction and honest answer to the probe. The honored intent of the 75 questions is to capture change. The questions are to be a catalyst for inner change that leaves you feeling more dynamic, powerful, intrigued, and authentic. When these salient emotions are opened up within you (they already exist), you change and your world changes and the whole world changes with you. “Don’t speak to me about your religion; first show it to me in how you treat other people. Don’t tell me how much you love your God; show me in how much you love all His children. Don’t preach to me your passion for your faith; teach me through your compassion for your neighbors. 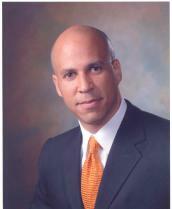 ~ Cory Booker ~ Mayor of Newark, N.J.